Enter the legendary days of old in this terrific sticker book – a place of brave quests, cool castles, awesome armour, jousts, feasts, chivalry and chainmail! Just the job for knights in training who have gallant deeds to perform, this book lets you create the perfect setting for your very own knightly adventures. Make a sword, helmet and royal shield, draw a dramatic fiery dragon, or paint a castle under siege! 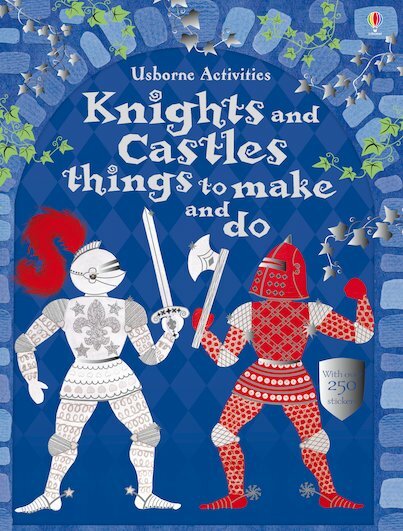 Full of easy ways to recreate the magical realms of knights and castles through simple craft activities, this book also has over 250 stickers to bring alive your spectacular makes. Spur up your courage and charge into adventure!